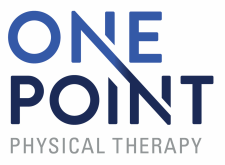 OnePoint Physical Therapy is currently accepting new patients for both adult and pediatric services. ​We are in network with many insurance providers and can help determine your eligibility. ​Please call us to schedule your appointment. - New patient forms are available here. - Visit our FAQ page for additional information. ​Still not sure if we can help? Contact us.